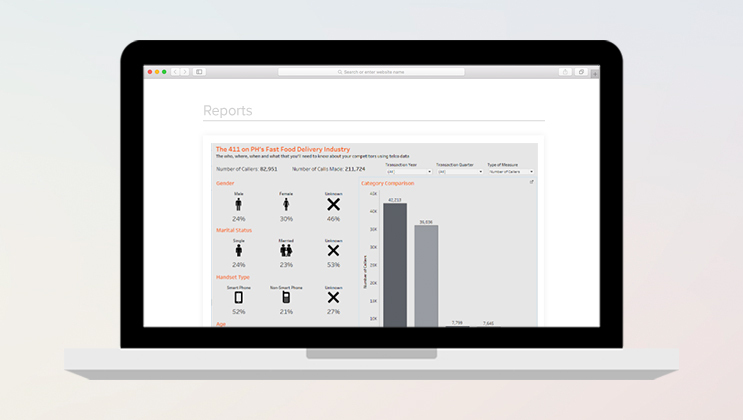 Strengthen your campaigns through valuable customer insights from rich data analytics. Get relevant consumer intelligence reports that can be broken down per relevant industry to help you craft your next big campaign. Globe’s syndicated reports gives a better perspective on how consumers interact with your brand and competitors on an industry level.